We’ve all thought it before. That little thought telling us to leave. Pack up our online presence and move off the grid. Life would be much better without the daily pressures of online life. Social media keeps us in the loop, but it’s draining to keep up with every friend we have on Facebook, Twitter, and Instagram. Blogs and ebooks are more available than ever before, vying for our attention. Advertisements on web browsers take our attention away for just a split second, and the thousands we see daily put pressure on us to buy every product on the market. Some files are harder to download than others, especially if we’re trying to download files through a torrent network. Some would prefer to go completely off the grid and delete everything: no social media, no blog subscriptions, zero Internet access. Others might still enjoy the pleasures of an online life. Before we dive into the world of online anonymity, let’s point out the facts. No matter how hard you try, you will never be completely anonymous. You can’t completely go off-the-grid. The government needs to know you exist. Important information like your Social Security number should stay in the system. Even if you wanted to go completely off the grid, the government would go after your lifestyle –and hard. Also, the ideal situation of staying completely anonymous will never happen. It’s like saying you, as a human being, will one day become a perfect specimen. Really, you can do the best you can, but you will never be perfect. You might reach 80% of your anonymity potential, and that’s pretty good in today’s society. There’s always a chance of getting hacked, noticed, or found out about your online activities. The online world is a beautiful, but flawed system. Below are steps for you to decrease your chance of being outed by Soviet spies. The ‘grid’ is the power grid, this linked system that delivers electricity to the masses. This can include utilities like power, natural gas, water, and telephone lines coming into your home from the ‘grid.’ In today’s society, the most popular item on the grid is the Internet. Some might say this is harsh and sounds like a spy movie, where the main character acts as a double agent. 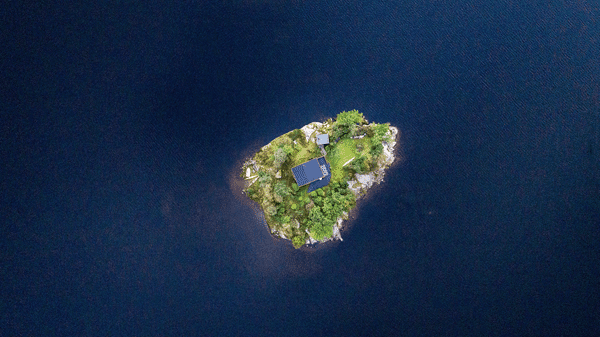 Others might think this is a fantasy to live on a private island and disconnecting from the world entirely, living in a Witness Protection Program. Really, though, this is a viable option for some people wishing to live off-the-grid entirely. As long as you’re not doing anything illegal, like not paying taxes to the government or stealing someone’s identity, you can shut off the Internet and never go back. If you’d like to live off-the-grid, but stay on-the-grid, here’s what we mean by that. To have the best of both worlds, you want to keep your phone and Internet access, but no one knows who you are when you’re online. By staying anonymous online, you throw hackers and trackers off their scent. They might think you’re in Brussels, but really, you’re in Hungary eating Brussels sprouts. With the best of both worlds approach to living in anonymity, you have some good things going for you. You’ll stay connected, but you will stay under the radar. Privacy and freedom are in your corner. You’re free to do most things online without getting noticed. Identity thieves will look for other targets because they can’t find you online. On the other hand, there are some negatives to living this anonymous lifestyle. It’s hard to balance between staying online without getting caught. Some find it hard to pay for certain applications, software programs, or other ways to stay anonymous online. Most anonymous tools cost a lot of money, and some don’t believe they can fork over the cash to stay undercover. And, even if you have the best intentions and protect yourself with every known tool in the world, you’re liable to get hacked. With any situation, you will encounter risks. Unlike most risks, this is a calculated risk because all we’re doing is staying anonymous – with good intentions. Some want to stay anonymous so they can illegally steal someone’s identity and destroy corporations by hacking their accounts. Instead, we’re here to help you stay anonymous for your own protection. Maybe you want to protect your privacy from others. Maybe you want to stay out of the public eye and don’t want others being nosy in your business. No matter your reasoning, below are some ways to stay anonymous while you’re on-the-grid. Most make the mistake of keeping the same password for every website they visit online. No matter how secure your password is, hackers can still find all your information if you keep the same password for every Internet site you visit. Change your passwords frequently – and often. The more often you change your password, the less likely hackers are going to figure it out. Change your password often enough, like once a month, to stay secure. Every website has protocol. Think of the protocol as a means of transferring information from a server through the Internet to your computer. The one protocol every website has is the HTTP or the Hyper Text Transfer Protocol. This determines which data is sent between your browser and the website you’re on. In an HTTP format, that data is unprotected, leaving your data at risk of being seen by others. One way to protect yourself is through an HTTPS website, where the ‘S’ on the end of HTTP stands for Secure. This provides an encrypted connection between the server and browser. The best extension to get is the HTTPS Everywhere. This forces websites to use HTTPS every day you’re in the browser. If you like spam, you’re one of the few who likes the canned meat product. Most don’t like spam – and more don’t like spam email. To avoid spam email, you can set up a secret email address. Forward all your spam and junk email to this secret email address and your inbox will thank you later. Also, only let certain people know about your secret email address. The fewer people who know about your secret lifestyle, the better for your privacy and security. These networks are mainly used by government agencies, but you can have your own VPN or virtual private networks. A VPN hides your IP address or your unique online identifier. Any time you connect to the Internet, there’s a unique IP address that is linked directly to your computer, tablet, or phone. The VPN not only hides this IP address from the world, it also runs your data through a secure and encrypted tunnel. No one can track your online activity, and no one will know which country you’re browsing from. A group of smart computer programmers wanted to create a way to protect people’s privacy and security on the Internet. These few gathered to create Tor, which is a browser that acts like a VPN. Anyone on Tor has access to the ‘hidden’ web, where users can create websites and communicate with each other anonymously. Smartphones are dumb. They can’t protect your identity all the time. Every time you want to find a coffee shop close to you, there’s a Location setting on your smartphone that, if you allow it, you can let the phone track you down. If you’re trying to stay anonymous, don’t turn on your Location. If turning off the Location setting doesn’t sit well with you, grab a disposable prepaid phone and use that to stay anonymous. A few years ago, a new type of currency was created, called ‘bitcoin.’ It’s a software code that is solely for the Internet. For anonymous users, there’s a new type of currency called Dash. It’s a more private version of Bitcoin, but good luck finding many merchants accepting Dash. Once you find those few businesses, your financial transactions are safe and secure. A virtual machine acts like a second computer where you do all your work, then send the files and/or information through your primary computer. It’s hosted as an application on your computer. Once you open the app, you can check to see if certain files contain viruses or unsafe features. After you’re done looking at the file, you can delete the file along with the virtual machine. This leaves zero traces of you ever opening up that file. In your web browser, information is stored every time you log on. These bits of information are called cookies. Cookies are also the reason why there are many advertisements marketed directly to you based on your browser history. Don’t let these cookies affect your health – literally and figuratively. Delete any cookies you have right away. One way to download content is to use a peer-to-peer service or P2P. These networks have many users uploading and downloading bits of information all over the world. The problem, though, is staying anonymous. Anyone (including your grandmother) can see who is downloading what and when, as your IP address is shown to the world. Downloading from torrent protocols is faster, but doesn’t stay anonymous for long. In comes RapidSeedbox, where they provide a private server dedicated to users to upload and download digital files. They have a VPN tunnel for anonymous browsing and they’re connected to a high-speed network.